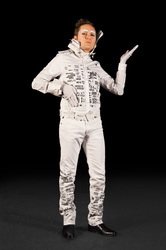 It It and the Gimme Box (IIGB) is a three channel video installation that toys with consumer objects. 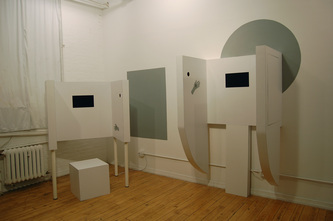 First shown at the AC [Institute Direct Chapel] in New York City, IIGB requires viewers to participate with the work. 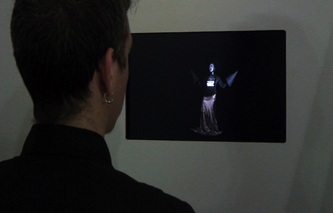 Entering one of three "portals," the viewer raises her hands in front of a sensor which triggers a video; when she lowers her hands the screen goes dark. 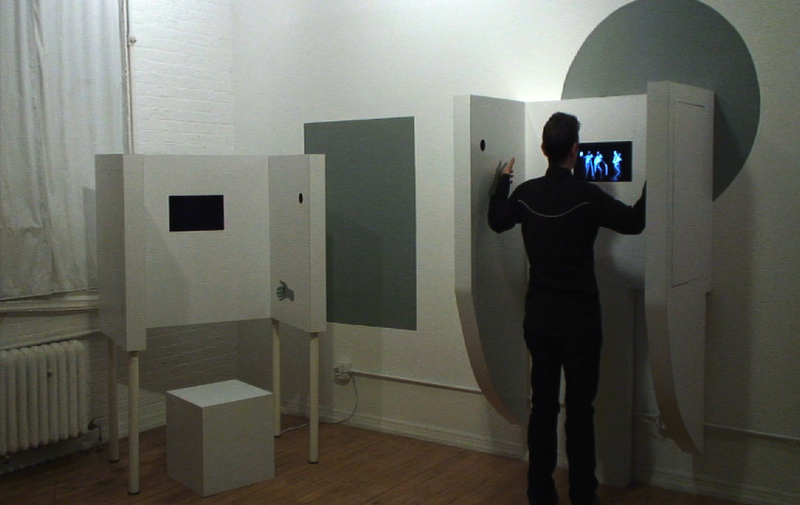 Using MAX/MSP Jitter technology the video is broken into segments and played from new points each time the viewer triggers the sensor. Each video is a six minute music video sung by one of three personofied consumer objects: a house key, a paper trail and an earbud. The lyrics of each song tell the story of the object's lifecycle - from material excavation, manufacture, disposal and decay- while also cheekily expressing the object's emotional relationship with the viewer/consumer. 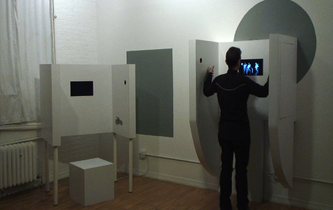 IIGB is exhibited both in a single channel screening format and a three channel video installation.